Launching a rocket is a long series of steps involving all actors: the client, the launcher, and the launch base. We have been preparing for this Soyuz launch, named flight VS21 (The number 21 comes from the fact that this is the 21st Soyuz launch vehicle to be launched from Europe’s Spaceport in Kourou), since the beginning of the year (though some have, of course, been at it much longer than that) and we are now entering the final, final, stretch. On Friday, we held the Launch Base Preparation Review for VS21. The passengers of this flight are six satellites by OneWeb, a telecommunications company. It’s their maiden launch, and the aim is to put these first six satellites into low-Earth orbit before launching the rest of the constellation at a later date across many other launches. My flattened coins — bravely sacrificed! On Tuesday, we have the weather briefing. The weather is unusually dry and sunny, and the weather predictions are favourable. As the invited VIPs start to arrive, I have the opportunity to meet some of them during the evening, and their passion for the project and excitement for the launch is palpable. It’s now Wednesday, and the launch is tonight. 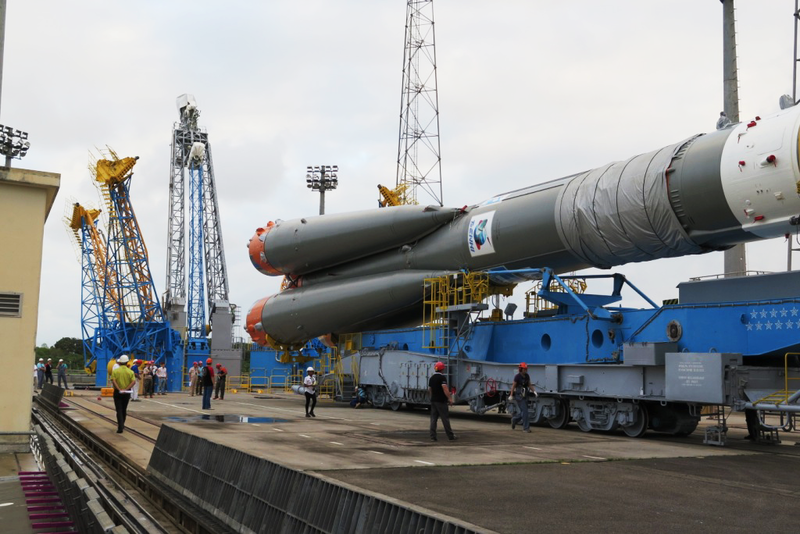 Lift off is scheduled for 21:37 UTC (which is 22:37 Paris time). 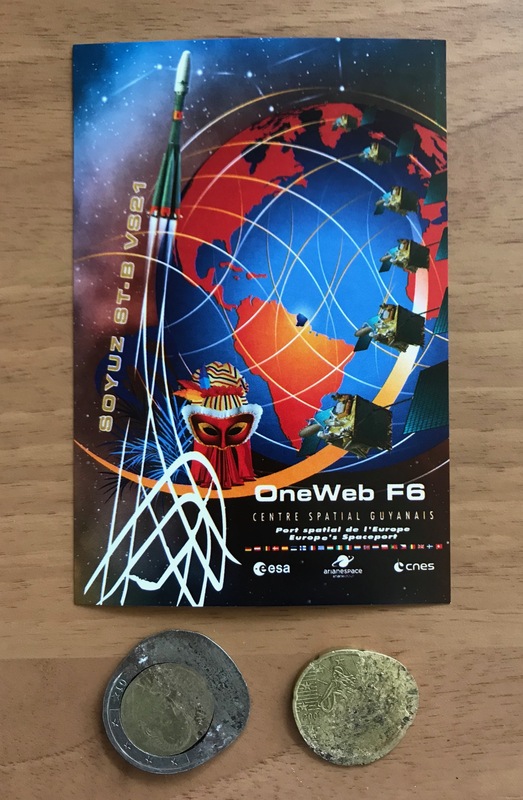 You can watch the launch live on the Arianespace website here, and if you want to learn more about OneWeb, you can check out their website where they have plenty of information and some very good videos.